It is no longer possible to picture our everyday life without electronics and included in this is one of the earliest inventions, namely the fuse as an over current protector. However, if fuses are to be used for applications in space, these components will be subjected to extremely high quality requirements: the components qualification process with the European Space Agency ESA is complex and demands quality assurance processes having exceptionally high standards. Every single component is extensively tested by means of a burn-in procedure for its correct functioning; the results are recorded. SCHURTER accepted this challenge and is the only European fuse manufacturer able to fulfil these rigorously high requirements. 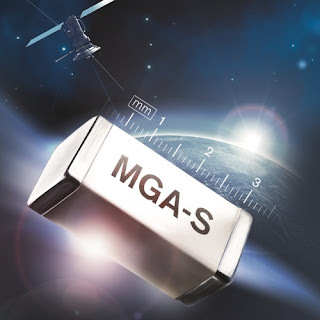 The latest SCHURTER Proof of Performance is called MGA-S and has an equally as long a life expectancy as a satellite: 20 to 30 years. After burn-in, cold resistance and voltage drop are measured again for each fuse. The two sets of values may display a maximum of 10 % deviation; otherwise the fuse has failed the test. Should there be 5 % or more from a production series that lie outside this tolerance, the entire production lot is disposed of and a new series of fuses is produced. Every fuse undergoes a strict visual check so as to exclude material faults. A detailed test report is made for each order and supplied with the fuses. The ESA (European Space Agency), the ESCC (European Space Component Coordination) is responsible for the specification, qualification and procurement of components for aerospace. The preparation of these specifications together with the entire qualification processes between ESCC and SCHURTER took two and a half years to complete. You can find a detailed product overview on our website.